Kamcord, the SDK that allows gamers to record in-game video on mobile, has raised $7.1 million in Series A funding led by TransLink Capital with participation from SV Angel as well as DeNA, KLab, and M&Y Growth Partners. Existing investors Innovation Works, XG Ventures, and Mark Williamson also participated in the round. Kamcord’s SDK enables developers to add a feature that will let players record, share and watch videos from their mobile games. Riding on the success of Twitch’s video streaming for gamers, Kamcord has tapped into a huge growth area for gamers — mobile. 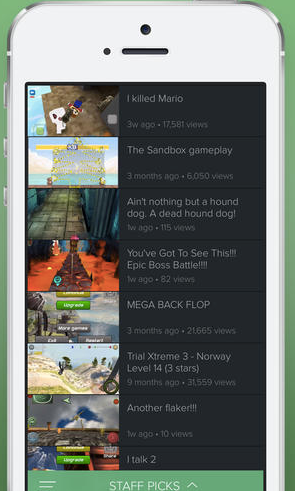 Users now share one video every 2 seconds with Kamcord, with over 1 million videos being shared in the last month alone. In addition to the 5 million videos users have shared, the company also announced that over 3 billion videos have been recorded since its debut as the world’s first mobile gameplay recording solution in 2012. Asia is a market where Kamcord sees potential massive growth — and with TransLink and DeNa on board, Matt Zitzmann, CEO and Co-Founder of Kamcord, says that the company can start making inroads with developers in these markets. In particular, TransLink specializes in helping startups partner with companies in and expand to Japan, Korea and Taiwan. As for the future, Kamcord says it will be looking at more ways to help discover mobile gaming content, including in the company’s apps. What’s in the company’s favor is that Twitch has seen impressive uptake over the past few years. We’ll see if Kamcord can pick up the same traction.